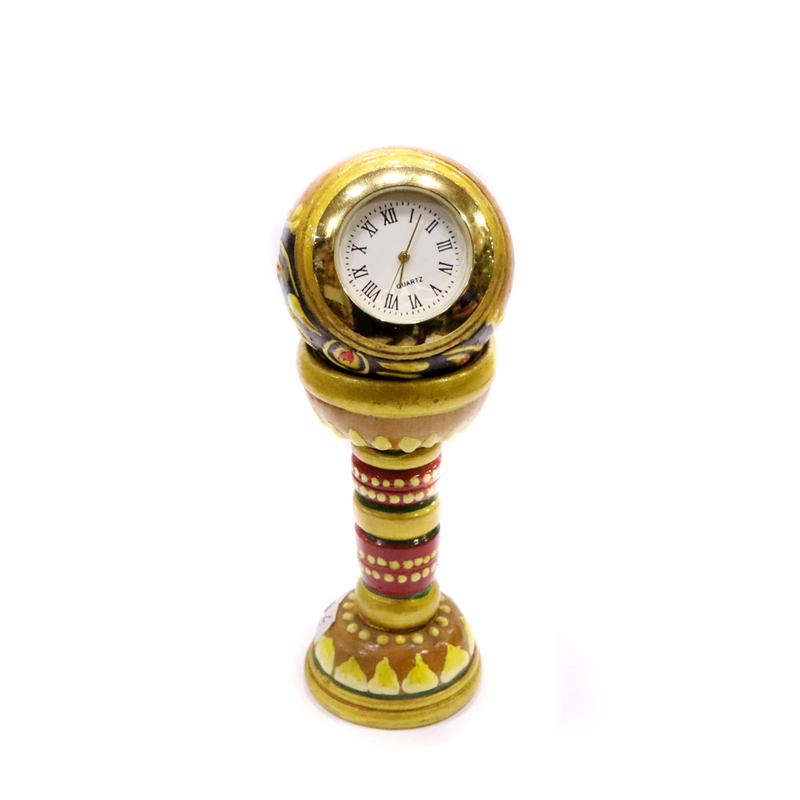 The Wooden pillar watch is unique and very stylish carrying with itself a royal entity. The entire pillar is adjusted with various bright Colours. The Read More..entire structure comes in a bright and shiny golden colour. The clock is circular in shape resting on top of the pillar. the dial is white with golden hands. Show Less..